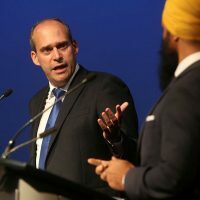 Jagmeet Singh and Guy Caron have most to gain in B.C. and Quebec from MP Peter Julian's decision to quit, says ex-NDP staffer Robin MacLachlan. 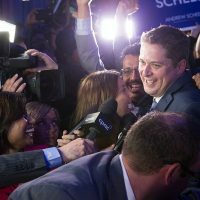 “I’ve seen the graveyard of politicians who have invested a lot of their personal money because they thought they could change the dynamic financially,” said Mr. Julian (New Westminster-Burnaby, B.C.) at an Ottawa press conference. “We were not at the level we needed to be to move forward for a national campaign that is entering the most critical phase. 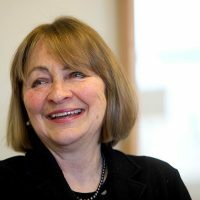 This is when the resources get spent,” said Mr. Julian, adding he tries to be “prudent,” referring to his background as a financial administrator. Although first to enter the race, Mr. Julian was in the back of the pack for fundraising, taking in $19,143 in the first quarter of this year—more than five times less than Charlie Angus’s (Timmins-James Bay, Ont.) $110,765 raised from January to March. Including efforts before others entered the race, Mr. Julian had raised only around $50,000 by the end of March. 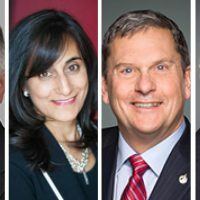 Though he led in caucus endorsements with six, many MPs said they were waiting to decide their support and insiders said it was too early to gauge top candidates from early public endorsements. “We were far below what we needed to be in terms of financial donations,” said Mr. Julian in reference to the June 30 deadline that just passed for candidates to file second-quarter fundraising. He wouldn’t speculate why he couldn’t get fundraising support or if other factors led to his decision to leave, saying he hadn’t yet done a full debrief with his team about its challenges. As to whether he should have sensed that lack of support earlier, he said he was positive going in and believed he affected other candidates’ platforms by bringing them closer to his positions on issues like pipelines and eliminating tuition fees. That leaves Mr. Angus, Guy Caron (Rimouski Neigette-Témiscouata-Les Basques, Que. ), Niki Ashton (Churchill-Keewatinook Aski, Man. 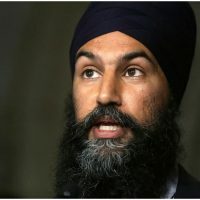 ), and Ontario MPP Jagmeet Singh left to vie for the top spot to replace current leader Thomas Mulcair (Outremont, Que. ), who lost a confidence vote by party members in April 2016. The news came just days after the July 3 deadline to become an official candidate, which required each of the five to secure nominations of 500 members and pay a $30,000 non-refundable entry fee. In an emailed statement, NDP national director Robert Fox thanked Mr. Julian for his “energy and ideas” and said no request has been made for a refund of the entry fee and “there’s no possibility” for that to happen. Members can vote online starting Sept. 18 using a ranked ballot, with first ballot results to be announced Oct. 1. Where Mr. Julian will put his support—and where his supporters will go—is top of mind for the remaining candidates. Mr. Julian’s endorsements included Quebec MPs Alexandre Boulerice (Rosemont-La Petite Patrie, Que. ), Robert Aubin (Trois Rivières, Que. ), François Choquette (Drummond, Que. ), Pierre-Luc Dusseault (Sherbrooke, Que. ), and Brigitte Sansoucy (Saint Hyacinthe-Bagot, Que.). MP Erin Weir (Regina-Lewvan, Sask.) 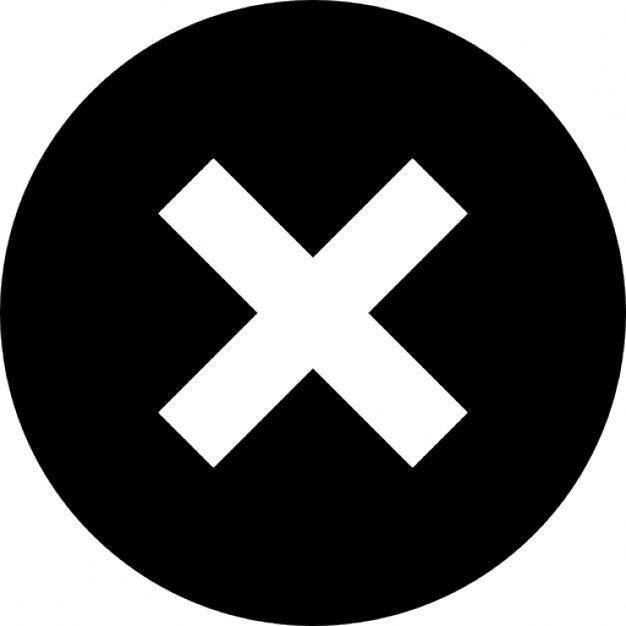 and six former Quebec MPs also supported him: Sadia Groguhé, Pierre, Dionne-Labelle, Alain Giguère, Djaouida Sellah, Paulina Ayala, and Sylvain Chicoine. 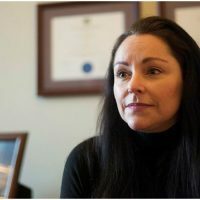 Alice Funke of the website Pundits’ Guide said she expected all were getting calls from other campaigns after the news broke, but Mr. Boulerice, the party finance critic and Quebec lieutenant, will be the “one to watch.” He could not be reached for comment. Calling the remaining four “very dynamic candidates,” Mr. Julian said he’ll endorse someone but hasn’t decided who. 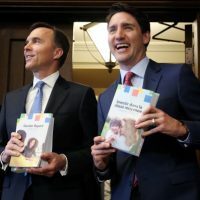 He wouldn’t say what would make the difference—just that he had “a long list of criteria”—but during the press conference he mentioned he was looking forward to what positions each offered on climate change and the elimination of tuition fees. He phoned each before announcing he would quit, he added. The other campaigns were quick to respond with statements praising him for participating, after he made it official. 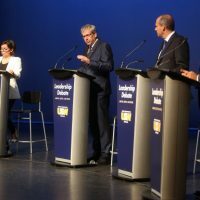 It’ll be a competitive four-person race now, said Ms. Funke, adding she felt Ms. Ashton improved her standing after a recent Toronto debate, especially with the added endorsement of Fred Hahn, president of the Canadian Union of Public Employees’ Ontario branch. 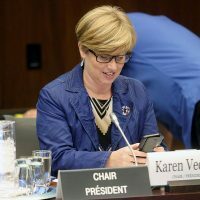 So far, Mr. Angus is the only other to secure a big union backer: Robyn Benson, president of the Public Service Alliance of Canada. 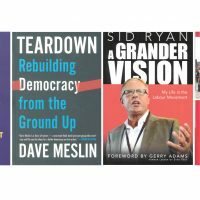 “From what I hear is that it’s Jagmeet and Charlie that have the really expansive field organization. Caron is gearing up, but can he meet or beat them?” Ms. Funke said. 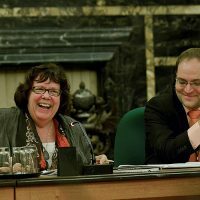 Former NDP staffer Robin MacLachlan said Mr. Singh and Mr. Caron have the most to gain from Mr. Julian’s decision to quit, especially in B.C., his home province, and Quebec, where the bilingual MP had several caucus endorsements. 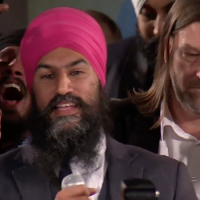 “Jagmeet Singh wins because I think he’ll be a natural to collect some of the support Peter might have had, and he was doing well in Lower Mainland B.C.,” said the Summa Strategies vice president, adding he wouldn’t be surprised to see Mr. Julian endorse the Ontario MPP. 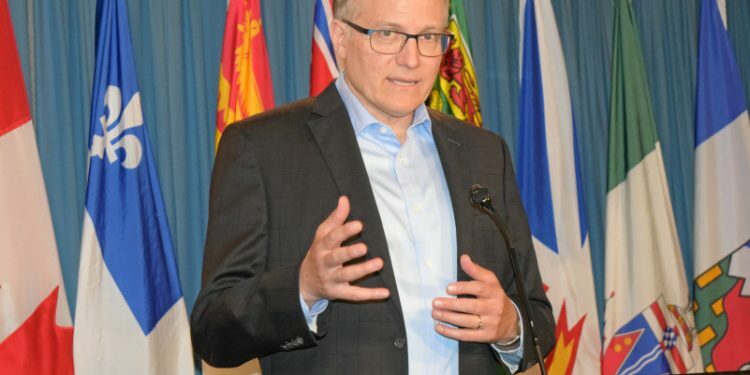 Mr. Mulcair’s former deputy chief of staff Steve Moran agreed, noting the Quebec MP, Mr. Caron, was likely “fishing from the same water” as Mr. Julian for support. 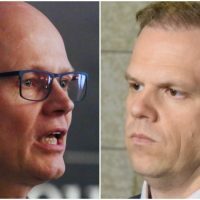 But don’t look for the group of Quebec MPs to move as one, said Mr. MacLachlan, because Mr. Caron isn’t necessarily an obvious choice for all— like Mr. Boulerice who has a “young, progressive, diverse” riding. “It does put a bit of pressure on Charlie Angus, who has been a frontrunner both in terms of fundraising numbers, some of the support he’s generated and just his authentic appeal to progressives,” he said. Candidates face a long and expensive campaign, said Mr. Moran, adding he thought it made sense for Mr. Julian to pull out now after assessing the second-quarter numbers. In the first quarter, Ms. Ashton raised $65,521 and Mr. Caron raised $57,235, though at the time Mr. Julian noted they both gave $25,000 to their campaigns, while he had not. 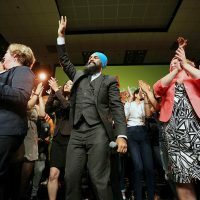 Mr. Singh officially launched his campaign in May and so his fundraising numbers will be public later this month when second-quarter results are released. First elected in 2004 and a former NDP House leader, Mr. Julian is well-respected among caucus colleagues, said Mr. Moran, so it wasn’t surprising to see he had received the most MP endorsements so far. But that didn’t translate to the party’s membership. “His campaign doesn’t seem to have [had] the pick-up, the excitement that others do,” said Mr. Moran, calling it the most traditional campaign. Mr. Moran has yet to endorse anyone in the race, but said he would. Mr. Julian’s co-campaign organizer François Soucy said his team members are waiting to decide what’s next and no one is yet ready to join another campaign. He said he had already fielded calls in the morning before Mr. Julian’s announcement from other campaigns courting him. 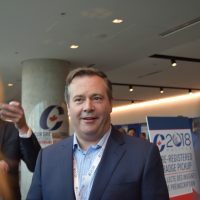 Mr. Julian had come out strongly against oil and gas pipelines, and thought raw bitumen from the oilsands should be refined and upgraded in Canada, instead of exported for that purpose. 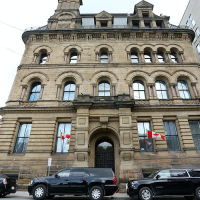 Mr. Soucy said about 20 people had been working on the campaign, including co-campaign manager Susan Spratt, formerly with the Canadian Autoworkers and a veteran of several campaigns including two federal leadership campaigns. The move makes Mr. Julian the second candidate to step down, after former federal veterans ombudsman and colonel Pat Stogran left in June.